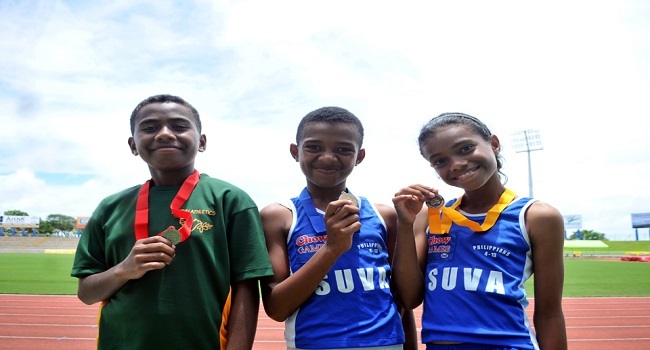 The Suva 2 team are looking forward to the final day of the 2017 Central Division Chow Games competition which ends this afternoon at Suva’s ANZ Stadium. Team President Maciu Ratuwaqa says they are making a comeback again this year hoping to better their performance from last year. Meanwhile, Veiuto Primary currently leading the overall medal tally with 12 gold, 10 silver and 8 bronze. Suva 1 coming in 2nd with 8 gold, 9 silver, 8 bronze and in 3rd is Suva 2 with 4 gold, 7 silver and 2 bronze. Meanwhile, the Lautoka Maroons is leading the 2017 Western FMF Chow Games overall medal tally in the Western Division with 7 gold, 12 silver and 6 bronze. Nadroga sits at 2nd with 7 gold, 7 silver, and 5 bronze while Nadi’s at 3rd with 7 gold, 2 silver and 6 bronze.